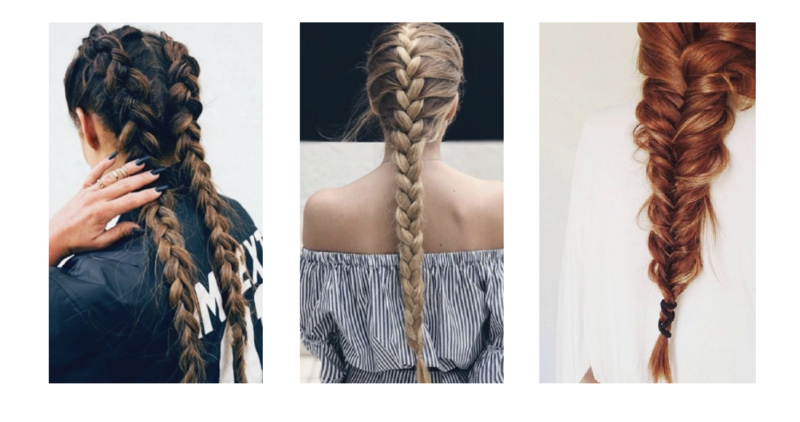 Whether your tying up salty beach hair or getting ready for a night out, these simple braids add major style to any occasion! A three-strand braid is classic and simple. Cross one outside strand across the center strand and then pass the other outside strand across the center. Repeat alternating one side and then the other until you reach the end, secure with an hair elastic. PRODUCT TIP: After showering use the Colorsafe® Leave-In Detangler and comb through hair to get rid of any snarls before braiding on damp or dry hair! 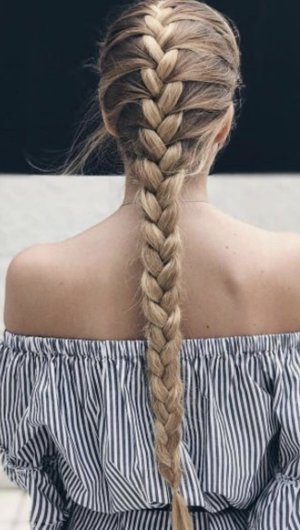 The traditional French braid is a style that helps keep long hair secured while traveling, working out, or running errands but with a touch of elegance. Start with a three-strand braid, then as you work down the head take pieces from the outside and add them into the strands you are working with. This one takes a little practice at in the begining! PRODUCT TIP: Secure strands and control hairline fly-a-ways with the Ultra+ Hold Hairspray. Section the hair in two halves to make two braids. Similar to a French braid this style involves adding hair to the braid but crossing the hair underneath instead of overtop. This way the braid has a, “popped-out” or "raised" appearance. PRODUCT TIP: After completing the braids, finish with the Define+ Pomade. The pliable styling aid, adds texture, shine , and smooths frizz! 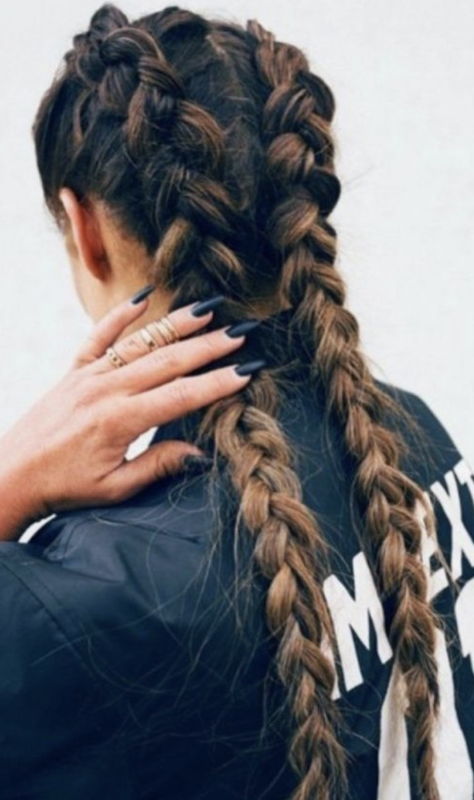 This style of braiding is what your Pinterest boards are made of. 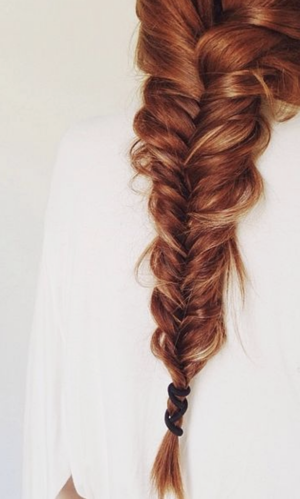 Easier to style on long hair, the fishtail braid is simpler than it looks! Split the section of hair in two and take small strands of hair from the outside and cross to the center. Repeat from each side so the hair is looks like the shape of a “V” pointing downward. To add some romance, gently pull the outside of the sections to loosen the braid. PRODUCT TIP: Infused with Keratin proteins, Name This Stuff is great to prep hair with before braiding. It seals split ends, fights frizz, and adds shine. A spin-off from the classic French braid, the waterfall braid is done by letting the middle strand fall and picking up another strand to continue the braid. 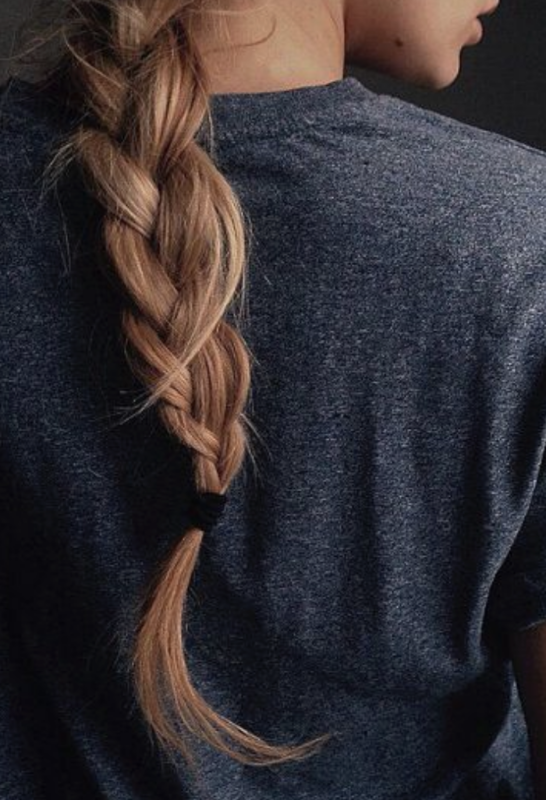 With your hair down, begin a three-strand French braid near your hairline. As you continue down and back towards the center of your head, drop the middle strand and pick up a similar sized piece on the outside to continue braiding. Secure braid with a small elastic or bobby pins. 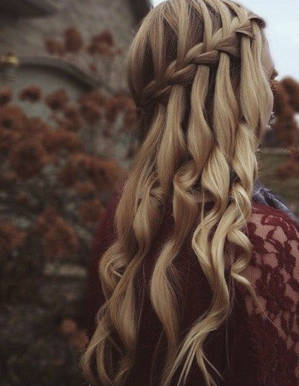 This style gives all the mermaid vibes when curled! PRODUCT TIP: Use the Shine+ Serum over the ends to reduce frizz, fly-a-ways, and add shine! Interested in learning these styles and more?! 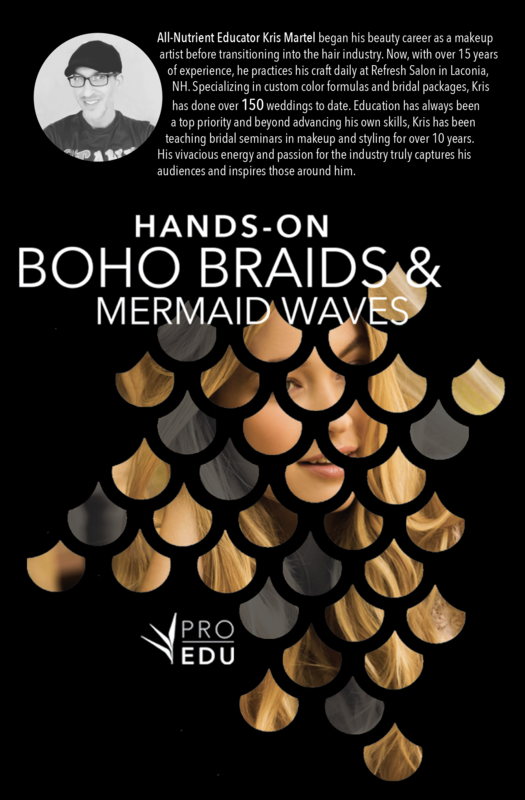 All-Nutrient Educator Kris Martel will be teaching, "Boho Braids & Mermaid Waves"
at our New Hampshire education headquarters on July 30, 2018. CALL 1-800-221-3496 or visit www.allnutrientproedu.com TO REGISTER.